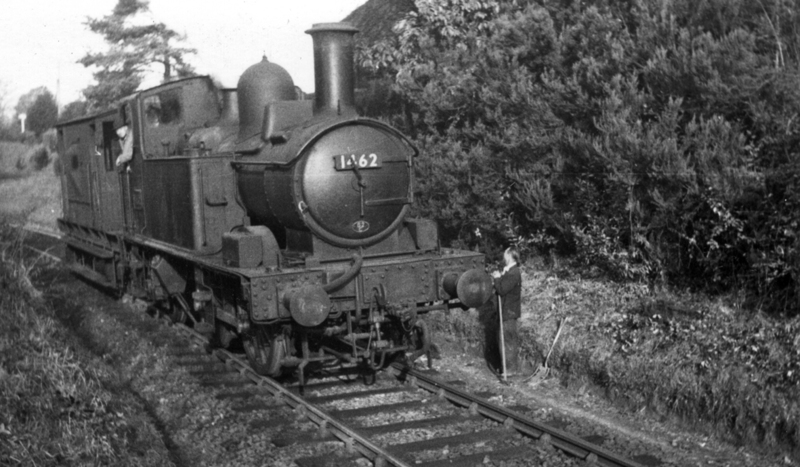 A GWR Class 1400 0-4-2T, Nº 1462, standing at the station. The same loco. with a brake van. performing shunting duties. 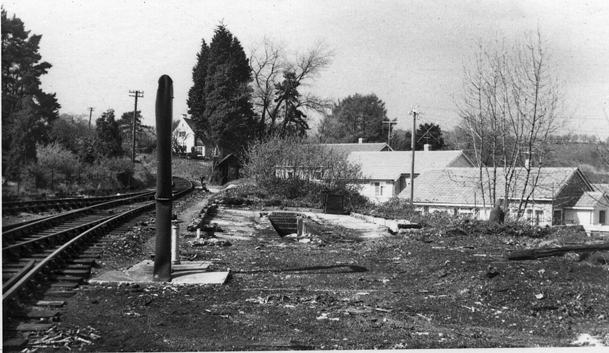 The remains of the engine shed. Here are some more black and white photographs taken by John Day back in the 1950s and 1960s. 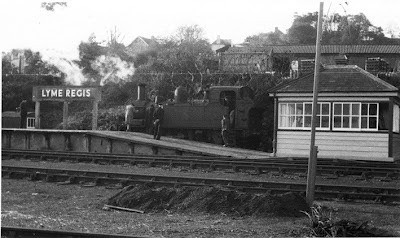 This time we see four scenes of Lyme Regis station with the top two photos being taken in 1958 whilst the bottom two were taken during 1965. 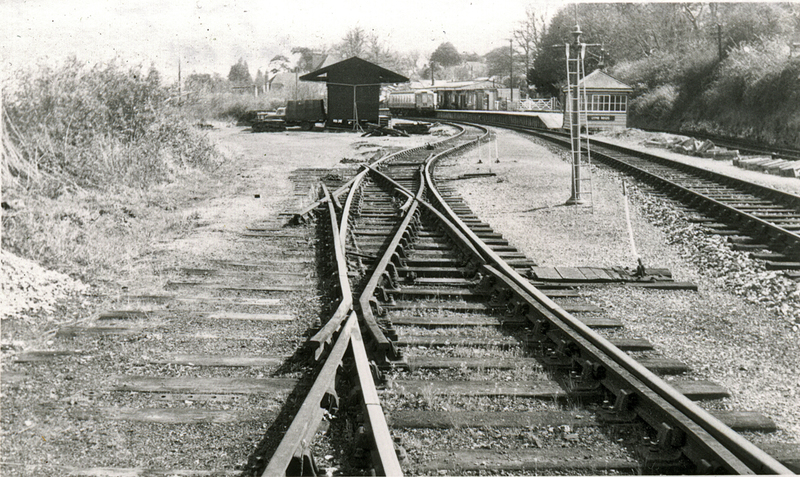 Lyme Regis was at the end of a 7 mile branch line from Axminster and was opened in 1803. It was famously operated, for most of its existence, by three of the Adams 'Radial' Tank 4-4-2T locomotives, which were considered to be the best locos for negotiating the difficult route. After their demise, various locomotives were used during the last few years of the line's existence including Standard Class 3MT tanks, Class 14 diesel hydraulics and dmus. There was just the one intermediate station, at Combpyne, with probably the most famous structure on the line being Cannington viaduct which, being a Grade II listed structure, still stands today. Sadly the end of this lovely little branch line came in November 1965, however, the station was dismantled and reconstructed at Alresford on the Watercress Line in Hampshire.